Berkshire Hathaway HomeServices Beach Properties of Florida was included in the newly released Swanepoel Mega 1000, a list of the largest real estate brokerages in the U.S., by sales volume. 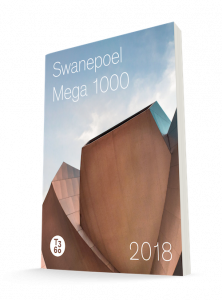 The Swanepoel Trends Report has been released annually for the past 13 years by the California-based real estate consulting firm T3 Sixty. Berkshire Hathaway HomeServices Beach Properties of Florida completed over $588 million in real estate sales volume in 2017. Per T3 Sixty: Gathering and analyzing the data was a rigorous, multi-step process. 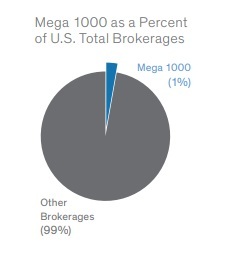 • It started by sending a request for information to approximately 2,500 of the largest brokerages, franchisors and holding companies in the U.S. There is no way to guarantee that all the largest brokerages were identified, but as the research encompassed significantly more than the 1,000 companies which were ultimately listed, T3 Sixty feels confident that the list is a strong and quantitative representation of the top 1,000 brokerages. • Over 9,000 data points were collected and analyzed. T3 Sixty scrubbed and scrutinized the numbers, ran algorithms to identify outliers, and tested data against the industry as well as our parameters. They reviewed real estate public company 10K statements, as well as other financial and sales numbers that they were able to source. • T3 Sixty initiated hundreds of conference calls with executives of brokerages, franchisors and holding companies to verify and refine data. In certain cases, they even reviewed Realtor association, MLS or Department of Real Estate records to illuminate information. They invested approximately 1,100 hours to gather, analyze and understand the data and believe the result is the most comprehensive and accurate ranking of brokerages, franchisors and holding companies.